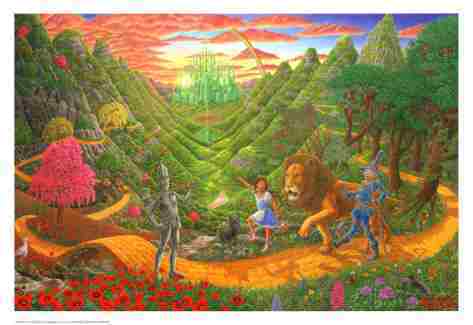 Designedby artist Tom Masse, this poster depicts Dorothy and crew heading down the yellow brick road. Tom Masse's exceptional attention to detail is not to be missed. Approx. size 22" x 32".